Notes on Preaching, #1 "The Joy of the Gospel"
There are many factors that can affect the “effectiveness” of preaching (however one chooses to define that). A number of which are out of the preacher’s control – factors going on in a parishioner’s life and in the life of a community, the attitude a person brings to church, the crying of a baby in a congregation and other distractions that can occur during Mass, duties and emergencies that can come up that limit homily preparation time and even just the temperature setting in a Church. The list can go on and on. All this being said though, the bishop, priest and deacon have a solemn duty to proclaim God’s Word faithfully to God’s people. This is truly an important task and one every minister of the Word should give the utmost care and attention to; not least of all because we promised to do so at our ordinations! In his first Apostolic Exhortation, “The Joy of the Gospel” Pope Francis spends a good bit of time reflecting on the value and importance of preaching in the overall mission of the Church with its mandate to evangelize. Using our Holy Father’s exhortation as a touchstone and guide, I would like to offer some thoughts on preaching. I do not know how many posts I will devote to this topic nor do I claim that every post here on out will focus exclusively on preaching without interruption until completed but I want to spend some time reflecting on this invitation of our Holy Father because, I believe, preaching is truly important in the Christian life and frankly, when preaching is minimized, community suffers. I know not every bishop, priest or deacon will be a Bishop Fulton Sheen or a St. John Chrysostom and I believe that Pope Francis is aware of this also. But, when ministers of the Word continually strive to be faithful and authentic to the call to preach the Good News (whether we be the most dynamic speaker or not) something important happens in people’s lives because it is not only us at work, the Spirit of God moves through us – often very poor vessels that we are. We need to trust in this and truly recognize that just a God works through us in the sacraments of baptism, matrimony, reconciliation and Eucharist so also is God working through us in our sharing and breaking open of His word which is an essential part of every celebration of the Eucharist. 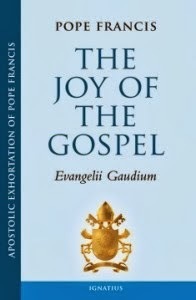 It is worthy to note where Pope Francis grounds his understanding of preaching as expressed in the the first chapters of “The Joy of the Gospel” – the ever-newness of Christ (chp. 11) and memory (chp. 13). Christ is the “eternal Gospel” (Rev 14:6); he “is the same yesterday and today and forever” (Heb 13:8), yet his riches and beauty are inexhaustible. He is for ever young and a constant source of newness. The Church never fails to be amazed at “the depth of the riches and wisdom and knowledge of God” (Rom 11:33). Later in his Exhortation the Holy Father will reflect on every sermon as a continuation of the original dialogue begun by Christ with his disciples. (The homily takes up once more the dialogue which the Lord has already established with his people. #137) This is a wonderful understanding of the sermon and one I will reflect on in more detail in a later post but for our purposes here it is good to remind ourselves that we and our preaching are part of something much bigger. Our preaching is not something separate from, nor just an add-on to the coming of the Kingdom of God; our preaching is part and parcel of this ongoing and ever new dialogue between Christ and his disciples! For preaching to be truly effective and efficacious then the preacher himself must be ever immersed in an ongoing encounter and dialogue with Christ in his own heart. The efficacious sermon will “tap into” this ever new and ongoing dialogue between Christ and his disciples. … as Saint Irenaeus writes: “By his coming, Christ brought with him all newness”. With this newness he is always able to renew our lives and our com­munities, and even if the Christian message has known periods of darkness and ecclesial weak­ness, it will never grow old. Jesus can also break through the dull categories with which we would enclose him and he constantly amazes us by his divine creativity. Whenever we make the effort to return to the source and to recover the original freshness of the Gospel, new avenues arise, new paths of creativity open up, with different forms of expression, more eloquent signs and words with new meaning for today’s world. Every form of authentic evangelization is always “new”. Yet the Holy Father goes on to caution that the “ever newness” of the Gospel does not negate memory rather, in the Gospel, memory is fulfilled and memory itself becomes a means of encountering the newness of Christ. The apostles never forgot the moment when Jesus touched their hearts: “It was about four o’clock in the afternoon” (Jn 1:39). A primary duty of the preacher is to call the community back to memory not in a sense of a mistaken nostalgia (“Things were so much better way back when…”) but in the depth of a sacramental sense. When we remember, individually and communally, how Jesus has touched our hearts then we encounter Christ anew! The preacher must preserve this deep sense of memory! We live in a world that thrives on distraction and a glut of superficial information. People are yearning for a depth to memory. A sermon that just skims the surface of the superficial does no one any good! The believer is essentially “one who remembers”. Every sermon should call people back to this sense of memory and therefore to a new encounter with Christ. People are starving for this! They are not starving for the priest’s latest travelogue or the newest internet joke – that is the superficial they are fed every day of the week. The Church truly nourishes and she does so through Word and Sacrament! My spiritual director in seminary, Fr. Lou Cameli, once gave me a treasured piece of advice about preaching: “Just say something that invites people to prayer.” It is about memory and the ever new encounter with Christ. There is a story told about the temple mount in Jerusalem. The moral of the tale, I believe, is this: when we make the choice to love and to give then we open our hearts that God might come in and make a dwelling place within us. When we choose to love, God makes his home within and with us. In one of the Harry Potter movies (I cannot remember which) the wise wizard Dumbledore shares this insight with the young Harry, “Harry, it is neither our abilities nor our skills that define our character, rather it is the choices we make that truly define who we are.” It is when we make a choice, when we exercise our will; that we truly define and determine who we are. One of the beautiful aspects of our Christian faith tradition is the belief that every human person is made in the very image and likeness of God – the “imago Dei”. As we proclaim this, it is understandable to then ask how we are made in God’s image. Is it in our bodies, our physical makeup, that we image God? No, because God is pure spirit and does not have a body. Is it in our abilities or our skills that we image God? Well, not really, our skills and abilities (no matter how impressive they might be) are not really all that much compared to the truth of God. How are we made in God’s image? Many of the greatest thinkers and saints of our faith tradition have answered this question by saying that it is in our will where we find most fully the image of God. It is by our choosing the good that we show forth God’s image in which we are made. When we, aided by God’s grace, make the choice to love, the choice to give, the choice to let go of self, the choice to forgive, to show mercy then we truly reveal the image of God in which we are made. Our character is defined and determined by the choices that we make. On this feast of Christ the King we proclaim that Christ is indeed Lord and King of all creation. He is master. 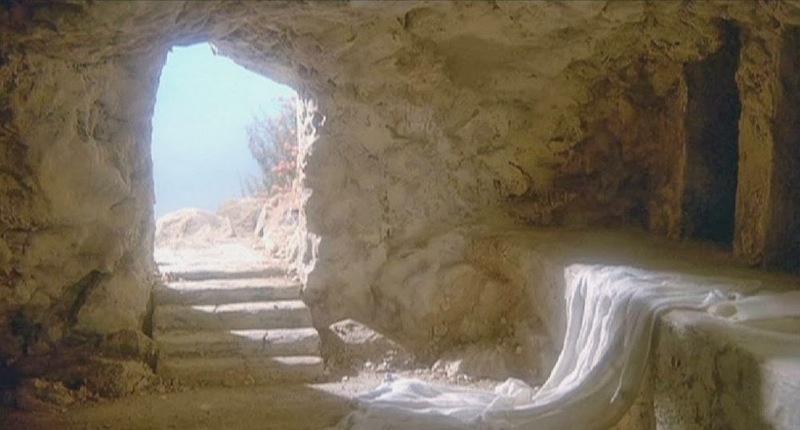 Christ is the one who was dead but who is now risen and alive. He is the firstborn. As we proclaim Christ as King it is fair to ask what type of king do we have? What is our king’s character? The Gospel reading for this feast (Lk. 23: 35-43) tells us something truly important about the king we have and proclaim and it is revealed in the choice he made. 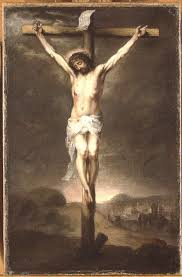 It is important to note that in the space of just eight verses, as our Lord is being crucified, he is presented with the same temptation three times; three times from different groups: the rulers, the Roman soldiers and the criminal hanging next to him. The temptation is simple, “Save yourself!” Rulers: “He saved others, let him save himself if he is the chosen one, the Christ of God.” Soldiers: “If you are King of the Jews, save yourself.” Criminal: “Are you not the Christ? Save yourself and us.” Three times this temptation is presented before our Lord and he could have chosen to save himself … but he did not. Rather, he made a different choice. He choose to obey the Father’s will; he choose to love both God and us, he choose to give of himself even unto death. But Christ our King shows us that there is a different way, a different choice can always be made. When the world says, “Save yourself!” we, with God’s grace, can make a different choice. We can make the choice to love. We can choose to serve and to give of self. We can forgive and offer mercy. “Save yourself,” is not the only option we have. Like Christ, our king, we can make the choice to love and to give. We can always make the choice for the good regardless of the situation or the context in which we find ourselves. And the gospel truth is this: it is when we choose to love and to give (even when it seemingly leads to more hardship, more pain, difficulties and even death) that new and more abundant life is found and known. More abundant than we could ever possibly imagine! This is the truth of the cross and the resurrection – the seed of the glory of the resurrection is always found in the loss of the cross! Today we celebrate Christ as King of Creation and we recognize the gospel truth that he puts before us. As the world loudly proclaims, “Save yourself” to be the only option we know this not to be true. Our king has shown us a different way. There is always another choice that can be made – the choice to love – and it is in this choice that we find new and more abundant life. Two things have struck me this past week. The first is the train wreck occurring in Toronto around Mayor Rob Ford caught in the use of drugs and a new allegation regarding prostitutes. The videos of the imploding mayor ranting during a city government meeting have gone viral on the web. It is painful to watch as Mayor Ford is clearly a man out of control yet one who will not resign his office and someone who therefore, in effect, is holding an entire city and its government hostage. Yet, what particularly struck me was a news commentator reporting on the situation who made the observation that regardless of whether one agrees with the mayor or not he is showing that he certainly has a “huge pair”. First of all, I will say that I think that the commentator’s remark was unacceptable and unprofessional and secondly, I will leave it to the reader to surmise to what the commentator was referring. The second incident of the past week is a video news report I saw on the “game” called knockout. This game involves a teenage male running up to an unsuspecting person, often from behind, and hitting the person in an attempt to prove that he is powerful enough to knock the person out. It does not matter if the unsuspecting victim is male, female or an elderly person. All are fair game. There are videos of these random attacks that are very disturbing and people have died as a result of these violent outbursts. 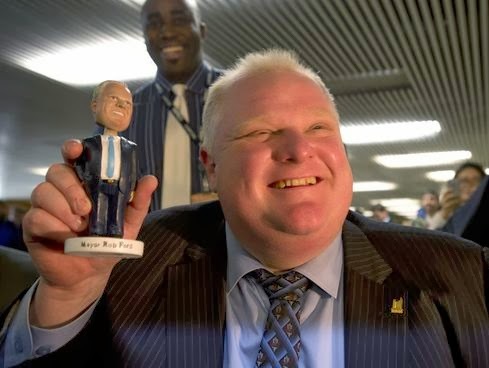 I would propose that both Rob Ford’s ranting and the knockout game demonstrate a crisis in anthropology and particularly masculinity in our society. Both are a misuse of power and neither gives testament to true courage, strength and determination or having a “huge pair” as the news commentator erroneously remarked. Rob Ford boasts that he has done great things for Toronto as mayor and maybe he has but he (at least on the videos I have seen) seems utterly enable to recognize that sheer exercise of power alone does not make the mayor … or the man. Yes, he is defiant but his defiance should not be lauded but condemned because it demonstrates a profound and dangerous ignorance. The human person (and therefore human community) is not just will to power and damn all other considerations! Life is not just about ambition, achievement and reaching the highest possible position with any means justifying the end or any side activity excused as long as it does not interfere with the final goal and the exercise of power. Ford’s implicit claim that his drug use should be excused, overlooked and hand-slapped because of what he has achieved for Toronto demonstrates a truly stunted view of humanity and yet, sadly, a view that is not uncommon. Enter the young men participating in knockout. The goal of the game is to prove that you are “strong enough” to knock someone out. I am sure that there are numerous sociological, cultural and historical forces behind such an act of violence yet it cannot be denied that this game fundamentally equates manhood and masculinity with the ability to exercise power and achieve ones purpose – i.e. knocking another human person to the ground. Nor also, should any of these sociological forces excuse this violent action. It is wrong and cowardly to attack an unsuspecting person. Yet, these young people seemingly fail to perceive this and that needs to be recognized for what it is – again, a truly stunted view of humanity and what it means to be a human person and a man. Rob Ford and these young men participating in knockout are one and the same. I have heard it said that the next great issue facing the Church to which we must bring the light of the Gospel is that of anthropology. What does it mean to be a “human person” and a subset of that question is what does it mean to be a man? Rob Ford and the young people participating in knockout demonstrate the fault line of this great issue. We should not pass these incidents by as unrelated and tangential curiosities in the cultural landscape. Together they witness a profound shift and loss in an understanding of the human person that has the potential to and already is shaking all levels of society and human understanding and to which no person or group is immune. As Christians we must address this loss and fault line running through our times but we need to be authentic in how we do so. A truly critical component of the New Evangelization is the proclamation of the Christian understanding of the human person as fully revealed in the person of Christ Jesus himself. Our world stands in desperate need of this proclamation, yet it is not enough to rest on past laurels. We can certainly draw inspiration and direction from our heritage in Christ and Christian thought but simply repeating old pat phrases will not do. We need to proclaim to a new time and a new need what it means to be a human person in Christ and this means that we must, as they say, “have some skin in the game ourselves.” In order for any proclamation of the dignity of the human person to be authentic, we must first of all encounter Christ in the totality of who we are and we must allow the light of the Gospel the process of penetrating and transforming every single aspect of our very selves. This alone will enable us to avoid the double pitfalls of a stunted understanding of the human person and of an inauthentic and shallow proclamation that can easily be recognized by the lack of fruit it produces. Rob Ford and the young men participating in knockout demonstrate the profound fault line running through our understanding of the human person and, at the same time, the profound need for which so many are yearning – a true understanding of the human person and what it means to be a man. They show what happens when this understanding is lost. They are very sad characters. Only an authentic answer can satisfy this need and that can only be found and gained through a continuing encounter with Christ. The New Evangelization cannot be faked. The Gospel in every age always demands that we have some skin in the game and only this authenticity can answer the stunted view of humanity and the crisis of masculinity present in our time. As we come to the end of the liturgical year the Church invites us to reflect on the end things – the second coming of Christ, life, death, resurrection and judgment. The Old Testament itself only reached a degree of certainty about the resurrection quite late, as presented in the first reading from the Second Book of Maccabees (2 Mc 7:1-2, 9-14). In the time of Jesus belief in the resurrection was hotly debated with the Sadducees being the main group opposed. So, when the Sadducees approach Jesus in today’s gospel with their lengthy and convoluted question (Lk. 20:27-38) they are more interested in putting him in a verbal trap and proving their point than actually being open to the ever-new possibilities of grace. Jesus easily sidesteps their question and their narrative of reality and gives us a glimpse of the fullness that awaits us in the resurrection. (It is helpful to note here that sometimes the wisdom of the Church in shown in what she chooses not to say just as much in what she explicitly teaches.) Our belief in what comes after death and in the end things all come from the little glimpses we have been given through the Scriptures and what Christ himself has revealed (as seen in today’s gospel). This wisdom is pastorally present in the Church’s celebration of funerals, I believe. In the funeral, we commend the beloved to the mercy of God and that is as far as we can go. God alone judges the human heart at the moment of his or her death and also God alone knows the time of the end things with their explicit details. To speculate and then try to speak authoritatively on what we cannot know reveals more foolishness and hubris on our part than any sense of wisdom. Sometimes wisdom is also shown in knowing when to keep ones mouth shut. The reality of the resurrected life is a reality that we cannot fully understand because we are all hemmed in by death and this affects our view of everything, our pursuits as well as our relating one to another. The opposite is true for the resurrected life because with the resurrection, life is continuous; it has neither beginning nor end; there is no further need of marriage for procreation, and death is no longer possible. It is a life full of loving communion with God and with one another, a life without tears, bitterness and sorrows. This in no way denies but rather fulfills the reality of human existence and relationship. Throughout the history of the living, the origins of anything new have always been small, practically invisible, and easily overlooked. The Lord himself has told us that “heaven” in this world is like a mustard seed, the smallest of all the seeds (Mt. 13:31-32), yet contained within it are the infinite potentialities of God. In terms of world history, Jesus’ Resurrection is improbable; it is the smallest mustard seed of history. To refer to the resurrection of Christ as the “smallest mustard seed of history” seems counterintuitive to say the least but Pope Emeritus Benedict is, in fact, making a profound statement. From our perspective, from the perspective of those hemmed in by death, the resurrection is truly improbable and just plain impossible but not from God’s perspective. God is not, nor has God ever been, hemmed in by death as we are. This “smallest of all seeds” has indeed broken into our world and now all life and all of creation is being transformed! Death is not the last word! God is not God of the dead but of the living! We, ourselves, are already caught up in this newness of life which has this smallest of seeds as its origin! In the Apostles Creed we do not profess belief in “life after death” rather; we profess belief in “life everlasting”. The newness of life in the resurrection is not a “not yet” reality. It is a reality that has already begun within us. Today, through our baptisms, we are participating in life everlasting. The transformation has already begun and is at work within us. We have a hope which endures because the seed of the resurrection has broken through the dominance of death which had hemmed all humanity and all history in. In terms of world history, Jesus’ Resurrection is improbable; it is the smallest mustard seed of history. Often, when we think of movies with a faith theme we tend to envision movies that portray the glory or triumphant struggle of faith but there are also movies that explore the other side – the reality of sin and its consequences. “The Assassination of Jesse James by the coward Robert Ford” is one such film I believe. It is not necessarily an “easy” movie to watch precisely for this reason. It is a film that explores the psychological and spiritual landscape of sin and its effects. Within the movie there are many amazing scenes of fall and winter landscapes which visually portray the stark inner landscapes of the film’s characters … landscapes that have been deadened and made barren by violence and sin. 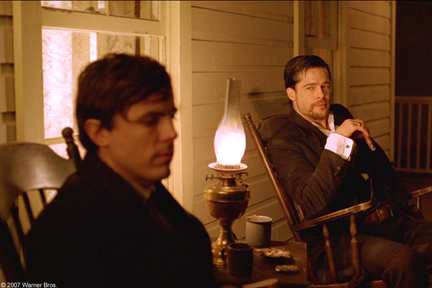 Jesse James, played by Brad Pitt, is not romanticized in this movie. He is presented as a fully complex character – extremely violent, a killer, yet human and full of paranoia near the end of his life. Robert Ford (played by Casey Affleck) – the man who would assassinate James – is also presented in the complexity of his humanity. He does not come off as a hero nor is he meant to. Both characters are men fully caught up in the twisting and disfiguring reality of sin and violence. There is a telling scene near the end of the movie where James and Ford are sitting together in a room of James’ home in St. Joseph, Missouri. The house is quiet and James is staring out the window. He says, “I go on journeys outside my body and look at my red hands and angry face and I wonder where I have gone wrong. I’ve been becoming a problem to myself.” Ford is in a stunned silence. He does not have a response to this admission of James. He departs the room and James continues to stare out the window. It is, I believe, a poignant portrayal of the affect of sin in ones life. In sin, we become problems to ourselves. Problems that we, on our own, can neither solve nor riddle our way through. We are too twisted, too ineffectual and too lost. We stand in the need of grace. But something new has now happened! Zacchaeus has been a problem to himself, a problem in which he has been trapped and lost, but now, in this moment of encounter with Christ, he does something different. We are told that Zacchaeus stands there in the very midst of the grumbling and he proclaims to the Lord, “Behold, half of my possessions, Lord, I shall give to the poor, and if I have extorted anything from anyone I shall repay it four times over.” In the encounter with Christ a new way is found! The starkness of sin, violence and separation is broken through! The problem that we become to ourselves through sin is broken through! “And Jesus said to him, ‘Today salvation has come to this house because this man too is a descendant of Abraham. For the Son of Man has come to seek and to save what was lost.” In sin, humanity turns in on itself; we become problems to ourselves – a problem that we, on our own, have no hope of solving. There is a depth to our brokenness that only God can answer. It is in the gift of grace, the encounter with Christ, that a new way is found … for each and every one of us. Swedish House Mafia is a former DJ group. (They have since broken up.) One of their songs is, “Don’t You Worry Child”. I would like to share some lines from the first part of the song. There was a time I used to look into my father’s eyes. In a happy home; I was a king, I had a golden throne. Those days are gone, now just memories on the wall. I hear the songs from the place where I was born. Upon a hill, across a blue lake, that’s where I had my first heartbreak. I still remember how it all changed. 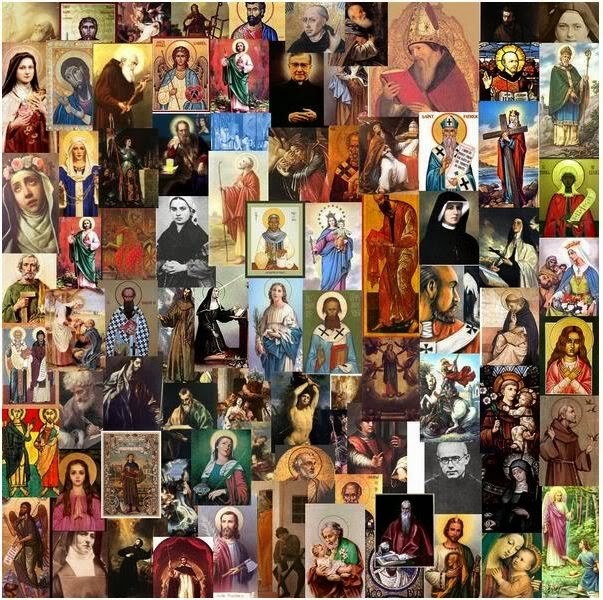 Today, the Church celebrates the Feast of All Saints – the feast of the men and women of heroic virtue and faith throughout the centuries who witnessed to Christ – both those publicly known and proclaimed by the Church and those who are known to God alone. The saints, through their encounter with Christ, allowed their lives to be transformed and, I would say, they came to realize a deeper meaning to the words of the song quoted above. The saints came to know the truth of where we have come from and what we are meant for. The saints through their encounter with Christ came to know the truth of where we are from, the pain of our isolation, the Father who has not forgotten and what we are ultimately meant for. Blessed, indeed, are they! In this awareness all becomes a blessing – blessed are the poor in spirit, blessed are those who mourn, blessed are the meek, blessed are those who seek for righteousness, the merciful, the clean of heart, the peacemakers and blessed are even those who are persecuted. Blessed indeed are they, for in this saving awareness all becomes a moment of encounter with Christ and a moment to know who indeed we are and what we are meant for. It has been said that when we get to the end of our lives the one regret we might be left with is not to have been a saint. Each one of us is meant to be a saint … you are meant to be a saint. Be attentive to those moments when you catch those songs from the place where you were born. Don’t worry. Trust that heaven has a plan for you.